When Megan Vinkemulder started a job at Xerox in a small Oregon town a few years ago, she thought she had finally found a job with stability. After a series of fast food and restaurant jobs marked by unpredictable hours, her new one seemed to offer a haven: 40 hours a week she could count on. But it took almost no time for the promise to be broken. She discovered those 40 hours could be sliced and diced any way her managers wanted. She’d work nights from 2 p.m.–10 p.m. and mornings from 4 a.m. to noon, often with just a day’s notice. She’d be asked to work two four-hour shifts split by three unpaid hours. She would go in on holidays and snow days. She’d be threatened with firing for any complaints. As a result, Megan’s personal life went haywire. Her chaotic schedule strained her relationship with her boyfriend, forcing her to constantly cancel plans, and eventually they decided to call it quits. Because she needed to work every holiday, she couldn’t see her family for a year. Job hunting wasn’t an option—most job interviews were scheduled in the middle of her shifts. Then she met an organizer from the Oregon Working Families Party who was working on a campaign to make hours more predictable and stable. Megan, who had never been involved in activism before, initially hesitated, worried about blowback from her boss. But after connecting with others like her, Megan went all in. Soon she was knocking on doors, speaking publicly about her ordeal, and even traveling to the Oregon House of Representatives to give testimony. Oregon passed the country’s first statewide fair workweek law in August. The law ultimately guarantees that working people at major retail, food, and hospitality companies get a heads-up about their schedules at least two weeks in advance, overtime pay for hours worked with less than 10 hours of rest between shifts, and the right to request a flexible work schedule. It echoes laws in other cities, including San Francisco, Seattle, New York City, and Emeryville, a retail hub in the Bay Area. In San Jose, California, voters last fall passed the first-ever fair workweek ballot measure, voting overwhelmingly to give part-time workers the opportunity to work enough hours for a reliable paycheck by forcing businesses to offer more hours to part-time workers before hiring new workers. These laws make it easier for working people to balance work and family and predict their hours from week to week, ensuring they can better plan their budget and their time. This movement for a fair workweek has emerged in response to the rapid expansion of low-wage service jobs over the past few decades. As many chains turned to workforce management technologies to squeeze more out of workers, hours for the growing service workforce became increasingly unpredictable. Big brands started to use “on-call” scheduling that required employees to be available around-the-clock. The recession accelerated these trends as employers turned many full-time jobs into part-time ones. Even when the economy bounced back, the recession had made its mark, leaving millions of jobs that require workers to constantly scramble for hours with no guarantee they’d add up to cover basic costs. In response, workers began to organize to win back a say in their workweek. 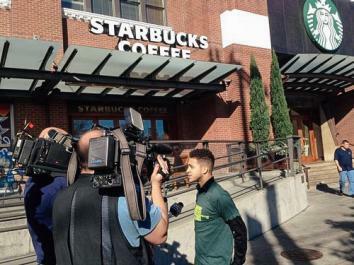 In Seattle, for example, the movement was led by Starbucks baristas like Darrion Sjoquist. Sjoquist’s mother worked as a Starbucks shift supervisor when he was in high school, coming home late at night and leaving before the sun was up. When his mom was called to work unexpectedly, Darrion picked up caretaking duties for his niece. Years later, when Darrion became a Starbucks barista himself, he saw little had changed at the company and stepped up to organize alongside his co-workers to call on Starbucks to provide a fair work week. He led his co-workers in a letter-writing campaign to then-Starbucks CEO Howard Schultz and even questioned Schultz at the Starbucks 2016 Shareholders Meeting about whether he supported fair working hours. Driven by thousands of baristas speaking out from Seattle to New York City to Los Angeles to Atlanta, Starbucks adopted 2 weeks advance notice and guaranteed 8 hours of rest between shifts. Seattle City Council unanimously passed its Secure Scheduling policy later that year, ensuring more reliable hours for Starbucks workers as well as many others throughout the city. Nationally, baristas continue to call attention to how lean staffing undermines these gains and makes it hard to have a stable income and even call out sick. Workers like Sjoquist and Vinkemulder are changing the conversation on the concept of flexibility as a whole to include the conditions of the low-wage service sector. Peruse a variety of retail job listings and you’ll see “flexibility” listed as a perk of working for these companies. Flexibility can be a good thing for many workers, but as these workers learned, employers often use it as a code word for being ready to work 24/7. The demand for open, endless availability can keep workers from advancing at work. A forthcoming Fair Workweek Initiative survey, for example, shows that open availability to work is a top criterion for promotion in retail—even as it puts stresses on workers’ families, budgets, and health that make keeping a job with such hours unsustainable. The need for more predictable schedules has taken on even more importance as the Trump administration barrels forward to strip working people of basic rights—and as retail grows increasingly volatile. Department stores have lost more jobs in the past year than coal mining or steel production combined, but the White House has stayed virtually silent. 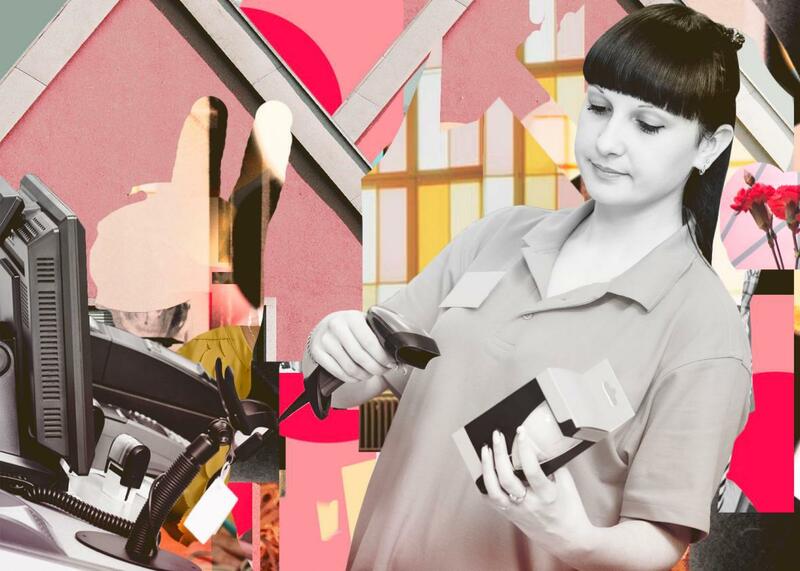 In this moment of rapid change, the fair workweek movement is putting guardrails in place to protect working people as so much else is in flux. Many Americans today feel pressure to respond to work whenever it pops up, working on weekends and late at night. Workers in the jobs with the least security, like Vinkemulder and Sjoquist, are leading the fight for hours that let us balance a job, a family, and a personal life. Each new reform shows workers across the landscape that it’s not too much to ask for a workweek that we can really count on.